Cuckoo Marans pure bred from very dark brown eggs. White Campbell ducks and eggs available to order. Competitively priced, please call or e-mail for details. Mainly white silkies, poland-silkie crosses,pekins and belgian bearded booted bantams(millefleur). Bearded and non bearded. From 10 weeks old. All pure bred stock. Mainly bred from show stock. Hatching eggs, Day olds upto POL. Also stock cockerels available. Also Guinea Fowl hatching eggs and keets and older. I am a small-scale breeder of lovely Buff Orpingtons. Large balls of honey fluff, these girls are very friendly and docile, too large to fly very high so great for a garden flock. Can be bullied so take care if mixing your flock. Buff Orpingtons lay a reasonable number of small tinted eggs. They make great mums. We sometimes have POL hens and pullets for sale, also young cockerels. Can deliver locally, otherwise collection only. Skellerah Farm is a family run business based in Cumbria. We specialize in Hybrid Chickens at Point of Lay. We can cater for all your needs, especially for beginners just getting started. All advice is freely given. Please feel free to pop in any time, as we are always open, and you will always receive a warm welcome. Here at North West Poultry we supply rare breed day-old-chicks, POL pullets and hatching eggs. Also from time to time we also supply hybrid day-old-chicks and pol pullets. 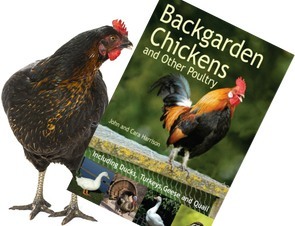 We also offer a full starter kit - all you need to get you started keeping chickens. Visit our website to find out more. We are a small family run small holding with a passion for Barred Plymouth Rocks. We breed top quality free range show birds. Pullets, Point of Lay, breeding cockerels, day old chicks and hatching eggs available. We can also supply egg laying hybrid hatching eggs. Please contact to discuss availability and requirements. Quail in pairs for sale. Please contact for more information. Small bantams bred. Contact for availability. Breeder and supplier of quail of all ages from chicks to laying birds and their eggs.